Do you have a loss of feeling or tingling sensation in your hands or feet? This may be a type of nerve disorder known as neuropathy. 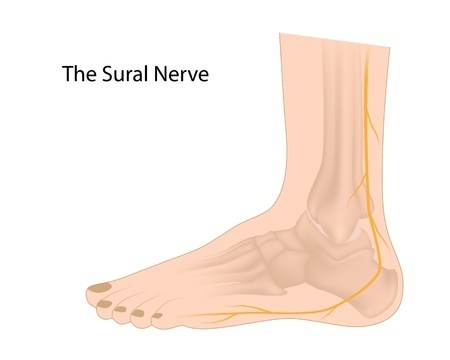 Successful peripheral neuropathy treatment at Advanced Foot & Ankle Care Specialists in Dallas starts with finding the cause of the nerve damage. Some patients have peripheral neuropathy resulting from a vitamin deficiency, for example. Others have suffered a trauma that physically cut or damaged nerves running to the extremities. When someone suffers nerve damage, there is a chance for nerve regeneration with proper treatment. To have your best chance at reversing the effects of neuropathy, rather than just containing it, early diagnosis and expert treatment by our foot and ankle specialist is key. Foot surgery is one method used in neuropathy treatment, but our goal is to manage the underlying condition first. If the principal cause can be corrected, your neuropathy can often be encouraged to “reset” the way the nerves transmit signals from your brain to your feet. If surgical intervention is necessary, Dr. Legel’s goal is to provide immediate pain relief. One example of neuropathy requiring surgery is mononeuropathy, resulting from a compression or entrapment-type injury such as a slipped disc in the spine. Have questions about neuropathy treatment or other foot or ankle pain? Contact Advanced Foot & Ankle Care Specialists in Dallas, TX, or schedule an appointment by calling (214) 366-4600.